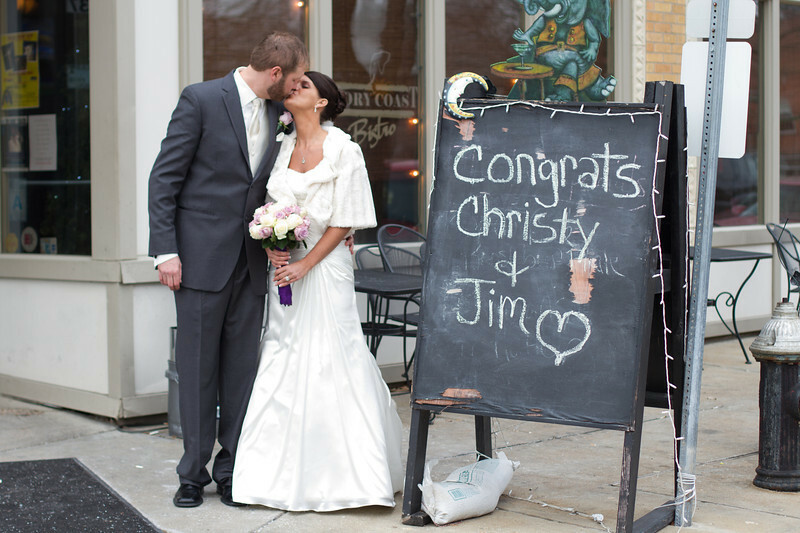 Last weekend, Jim and Christy pledged their love to each other in front of family and friends at The Ivory Theatre, in St. Louis, Missouri. We arrived a bit early, since this was a new venue for us, and we were able to spend some time planning our coverage for the ceremony. 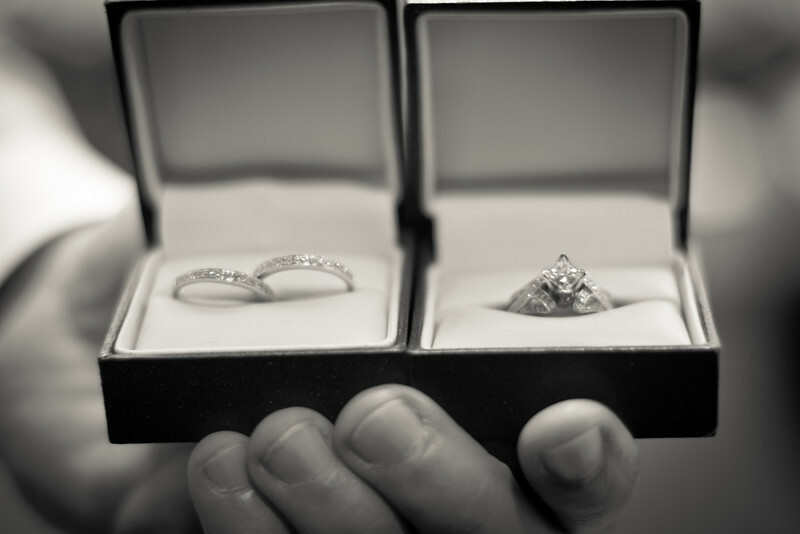 Meanwhile, Jim showed us Christy's rings, and we realized exactly what a lucky girl she is! Wowza! The ceremony was heartfelt and sincere, performed by Ron, a friend of the family. After the ceremony was over, we followed Jim and Christy to The Ivory Coast Bistro, which was the bar where they first met (and conveniently across the street)! There was even a hand-written sign for our bride and groom! The wedding party jumped into the Road Pony's elegant party bus, and headed for downtown! We stopped by Busch Stadium for a few quick pictures of the whole party, and then the bridesmaids and groomsmen boarded the bus while we had a few more intimate pictures of Jim and Christy. When we finished, Jim and Christy flagged down the driver of the bus, and off we went! We headed next to Union Station, and thank goodness for that! It was cold outside, and exactly perfect inside. We were able to get some really fun shots here, and really relax a bit before getting back on the bus and heading to Andre's! Once at the reception, the party was in Gary's hands, and he was an amazing MC for the evening. Our time at the reception seemed to fly by, but we did get some great dancing pictures before we left! 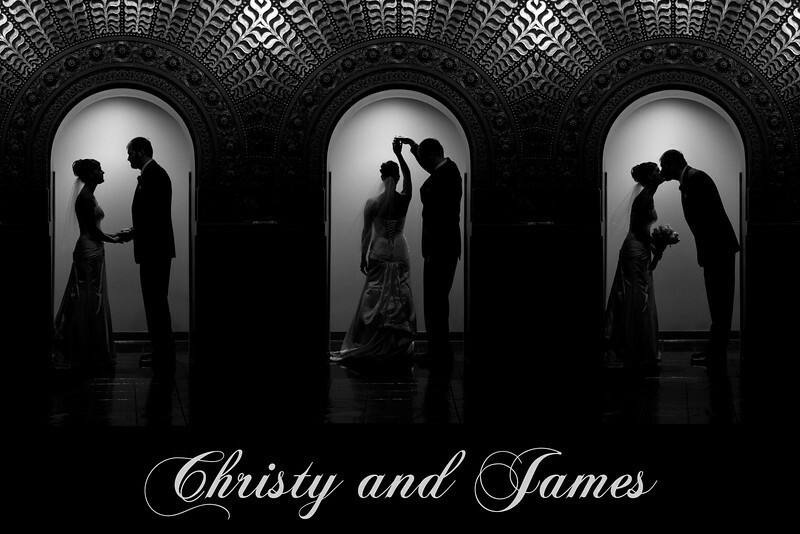 Congratulations to Jim and Christy on your beautiful wedding, and we wish you a long and happy marriage! Thank you so much for choosing Tomorrow's Treasures! 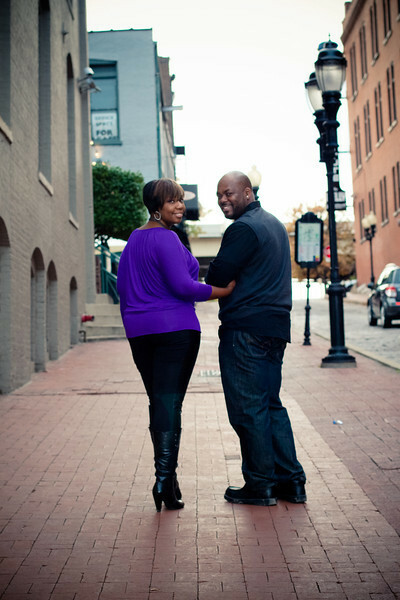 We met Carl and Stephanie downtown, and had a wonderful engagement session! They are so in love with each other, and that radiates in these images. 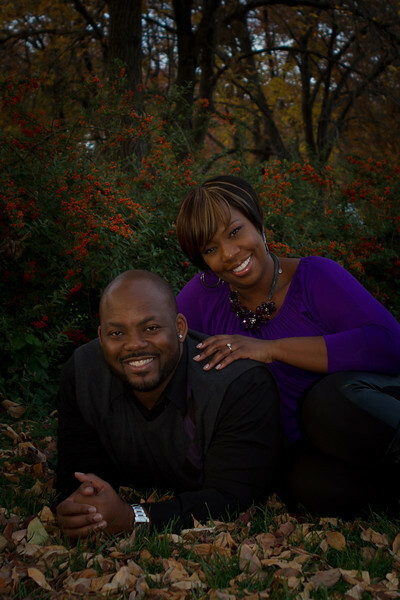 We are photographing their wedding this spring, and are looking forward to being a part of their day! They walked ahead of us, strolling along and stopped for a quick kiss...but we caught it! What a sweet moment between them, that they can keep forever. I love this picture of them! I couldn't help but include it on our blog! We started running out of daylight, but we were able to squeeze in this beautiful shot before it got really dark! The color of their clothes paired with the bold fall foilage behind them really made for an intense image! We couldn't take a bad picture of these two! We can't wait until their wedding! Look for pictures of Carl and Stephanie's Jewel Box wedding this spring! 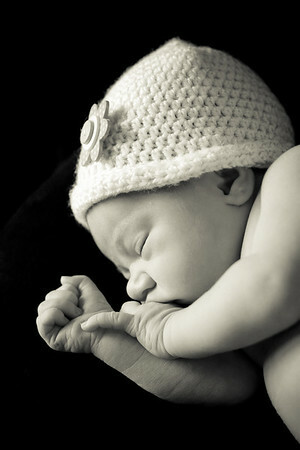 Our first newborn shoot of 2012, and what a beautiful baby she is! She didn't much care for our fuzzy-white mat or laying in our baskets, but once we put her on her boppy pillow and a nice, cozy blanket, she went fast to sleep and we were able to freeze this moment for her parents. Here is a picture of Josh and Hyla that is sure to melt your heart! 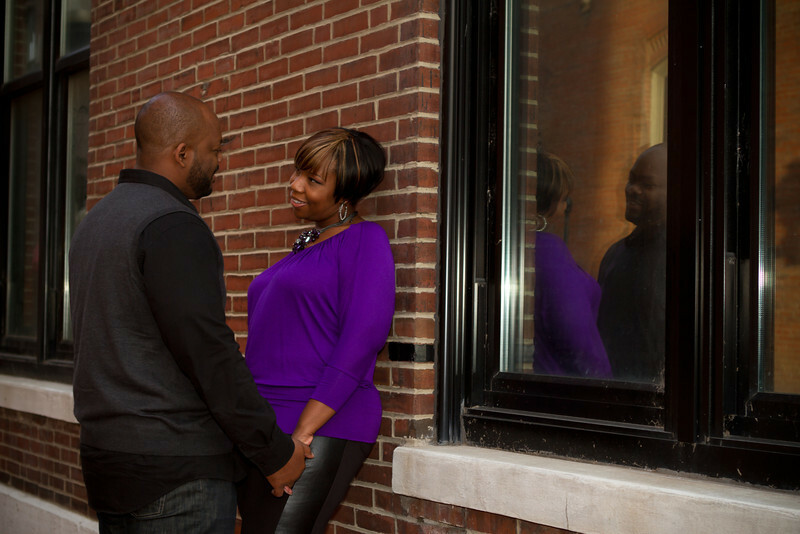 He requested a few of he and Hyla, and we worked hard to capture exactly what he had envisioned. Thank you again, to Josh and Jessica, for inviting us into your home and for introducing us to your perfect baby, Hyla. 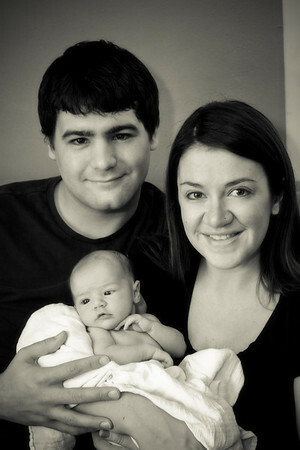 We hope to photograph your beautiful family again! Do you have insurance? This is a no-brainer. Your wedding photographer needs to have liability insurance to cover anything that can go wrong on your wedding day. The most common example is because someone can trip on their tripod leg and get hurt. This might not happen, but being prepared for it is important! Do you have back up equipment? This is an important question! If your photographer doesn't have more than one camera, more than one lens, more than one flash, you could be setting yourself up for a lot of disappointment. I have personally had a camera break during a wedding. I have dropped a lens during a portrait session. Knowing that equipment can malfunction and being prepared for it is a sign of a responsible photographer. If your photographer's only camera breaks while you're walking down the aisle, what will you have to remember your wedding day? What happens in case of illness? Back up photographer? This is important, too. If you have an agreement with the cheapest student photographer on Craigslist, and they get pneumonia two days before your wedding, what happens to your wedding coverage? Sure, they might be willing to refund your $300, but will you be able to find another photographer on that short of notice? And, if you do, how much will they charge you? We have two photographers, and a back up photographer. Most reputable photographers will have contingency plans to cover your day, even in the event of illness. Do you have any recommendations for other vendors? 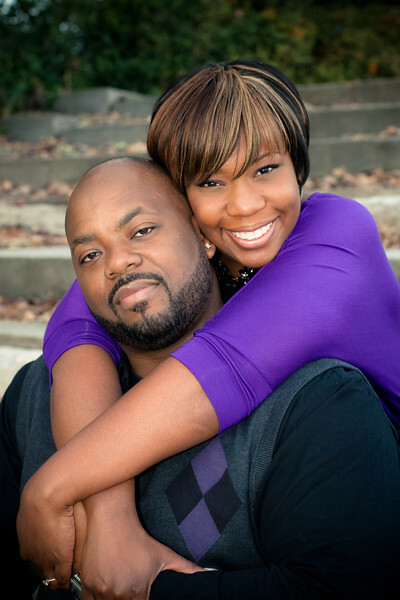 Your wedding vendors are a great resource to you. This isn't limited to the photographers, though, this is valid for all of your vendors. The venue that you choose to have your reception at can probably give you great referrals for DJ's and caterers. 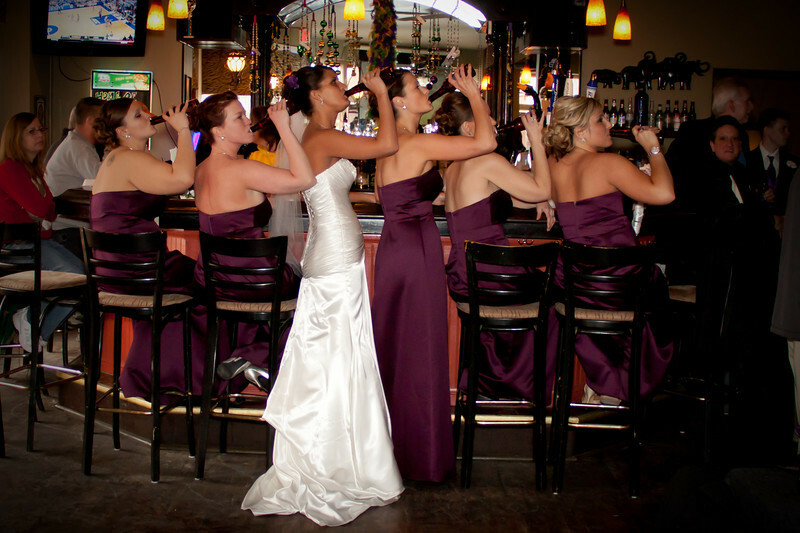 The wedding planner can give you great referrals for dresses and tux rentals, decorations and bakeries. 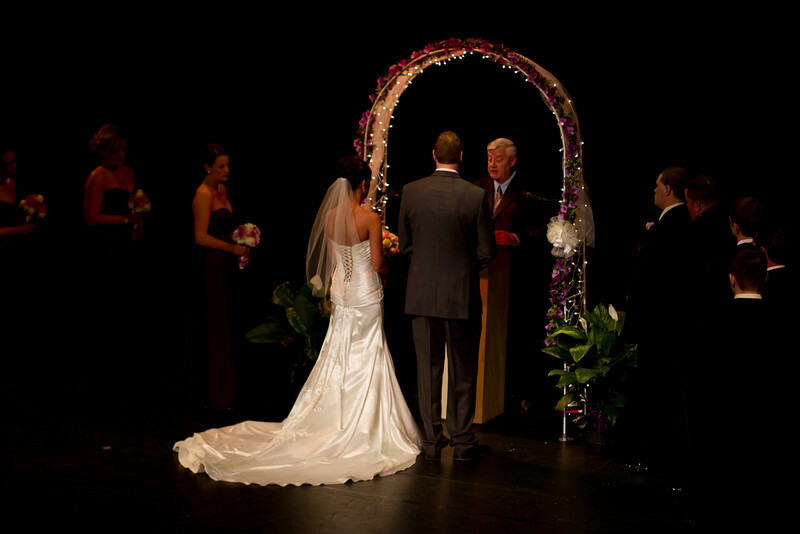 Your photographer can give you great information regarding venues and time lines. The key here is to make your wedding vendors work together as a team. We have all photographed (or catered, or DJ'ed, or planned) more weddings than your friends, your mom, or your Aunt Sue. We might have insight on some of these things that will help you plan your day so it runs smoothly! What is a typical time line? How much time do you require for pictures? What happens if we run late? 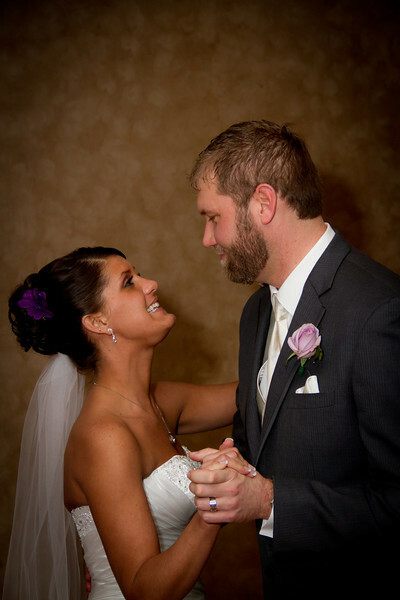 Talking to your wedding photographer will help you get a reasonable schedule for your wedding day. A reasonable schedule is the best way to stay on time. If you want two hours worth of pictures, but only leave your photographer 30 minutes to take them, you will wind up late or without the pictures that are important to you. A good wedding photographer should be able to help you set realistic goals and time lines for your wedding day, so that you get to your ceremony and reception on time! Can I see your portfolio? Client reviews? If your wedding photographer doesn't have a portfolio, or can't show you feedback from previous clients, these should send big red flags! Photography is an art, and as such, differs greatly from person to person. Hiring someone to photograph your wedding so that they get experience is a bad reason to hire them. Letting your cousin photograph your wedding because she has a great camera and is good at taking pictures can lead to disaster!